The Yamaha YEP642II Neo Euphonium offers a powerful projection to the professional musician. The shape has undergone extensive redesigning to produce a more dynamic sound. The main tube has increased resistance which can be utilised by experienced players to achieve a more expressive response. The yellow brass body has a punchy low frequency response with high end clarity. The hand rest has been adapted for a smoother performance whilst playing solo pieces. This model has a clear lacquer finish for a classic look, and comes equipped with a hard case and 51L mouthpiece. 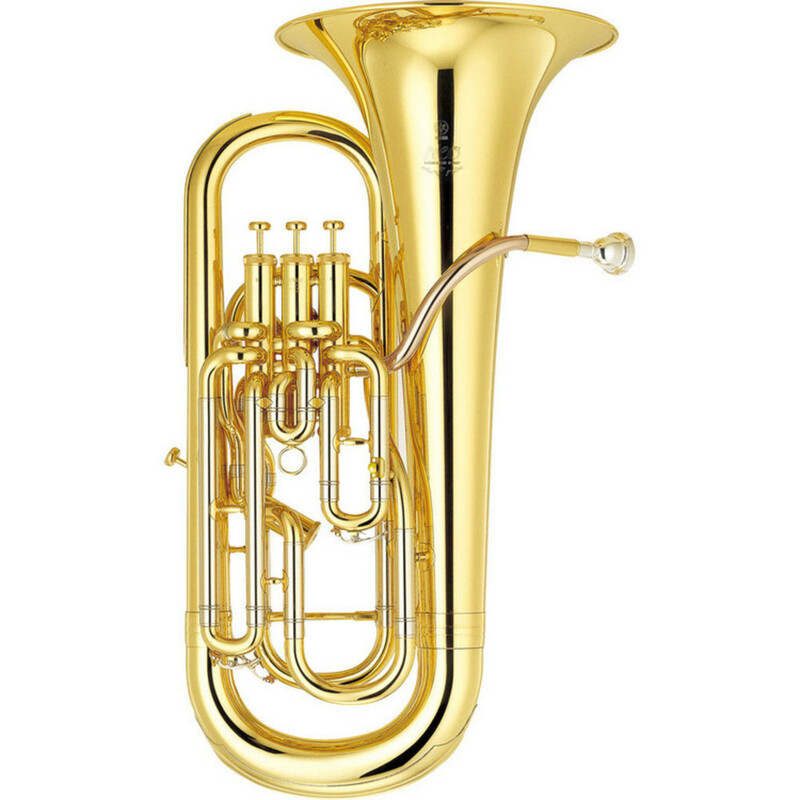 The Neo Series of euphoniums include revolutionary design features for the forward thinking musician. Each feature has been reconsidered and reconstructed for increased efficiency and quality. New levels of power and projection combine allow players to reach new heights in making their voice heard, with all the subtle techniques becoming more noticeable. The sound quality has a dramatic warmth and depth that makes your performances more expressive. Yamaha’s Neo series focuses on developing the playability of your instrument. By making subtle improvements to a variety of features, Yamaha have achieved a series of instruments that work for the musician in a more efficient way. The one piece bell has been improved for a more responsive sound with rich tonality. The Neo euphoniums aren’t just designed for tonal improvements, but also for a more comfortable playability that works for the musician. The high quality yellow brass has warm, deep characteristics, as well as a stunning aesthetic. An overhaul on the shape of main tubing on the Yamaha YEP-642 has resulted in an instrument that has a perfect amount of resistance while still giving a powerful tone right across the range. 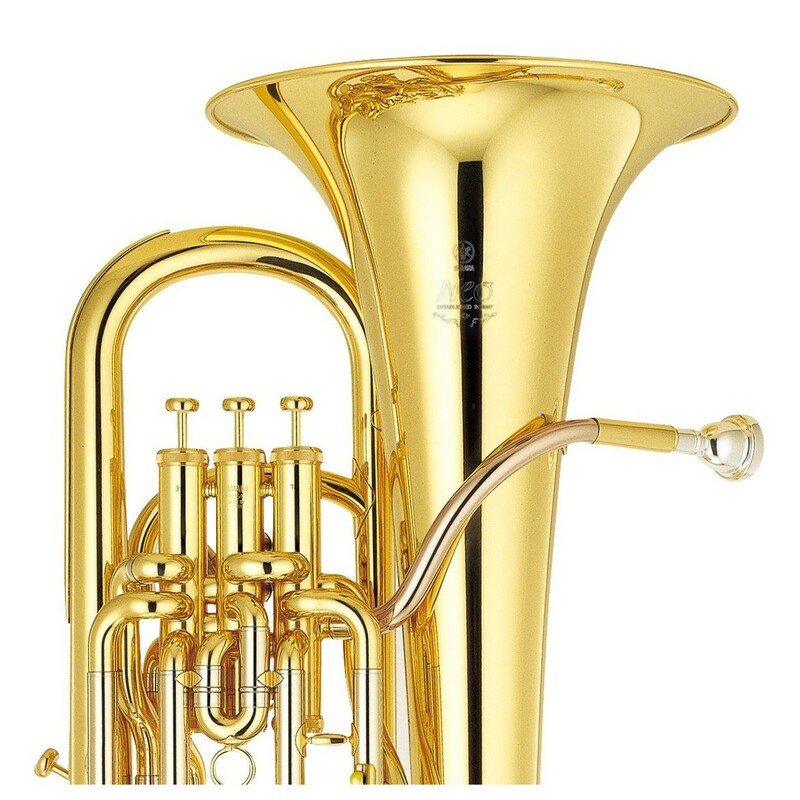 The redesign has also given the Yamaha Euphonium accurate intonation and a lot of creativity, suitable for lyrical playing. The Yamaha handrest has also been adapted so that it feels more natural to play. This now offers a smooth and effortless playing style for the more demanding solo and ensemble playing. included with the Yamaha Neo Euphonium are a hard case and a mouthpiece. The EPC-63 case is molded for the Neo Euphonium making it safe to take to concerts and rehearsals alike. The 51L Mouthpiece has a relatively large inner rim diameter with large cup volume for a dark sound. 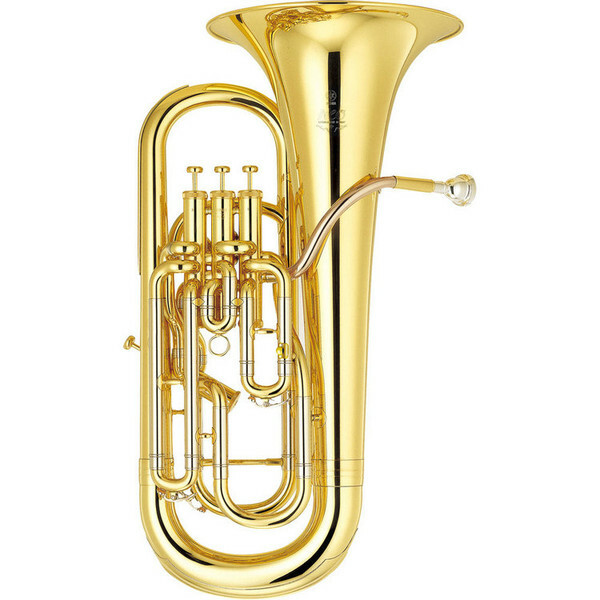 It is a standard euphonium model with a beautiful rich tone.